Last year we planted a garden for the first time. This year we almost doubled it in size. We are growing broccoli, tomatoes, cucumbers, green beans, sugar snap peas, corn, zucchini, yellow squash, jalapeno peppers, did I mention tomatoes :), and sunflowers for our kiddo. We planted marigolds around the entire thing to keep out the rabbits and squirrels. In May, when it finally quit raining long enough to plant, Keith tilled up the garden, we spent a few days planting the starters and seeds we had purchased, and we waited. I had accidentally purchased 48 tomato plants (I didn’t realize there were 4 little plants in each container I picked out) and 8 squash plants. So we tilled up alongside the house in the front yard, expanding our garden to accommodate my excitement. 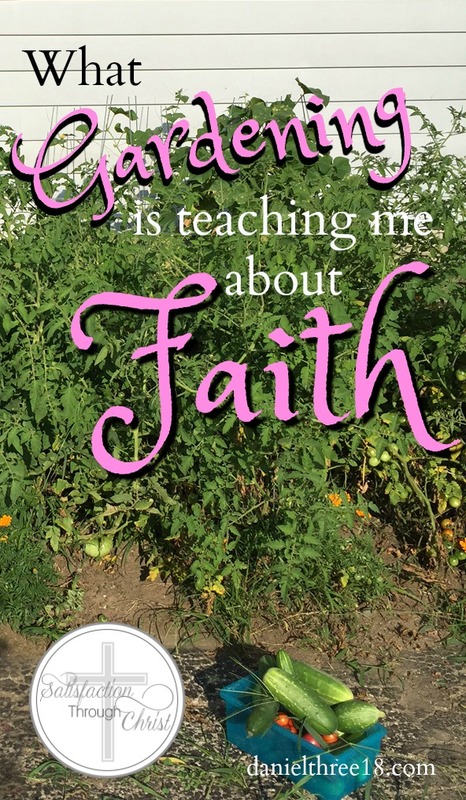 Since then, tending to this garden is teaching me a lot about my faith. The first thing I have learned is grace. My husband teased me about buying so many extra plants, but he knew I didn’t do it on purpose. He gamely tore up part of the front yard to plant extra squash and tomatoes. And then when only half of them survived, he tilled the dead plants under with a smile and made suggestions for next year. I’m not sure I would’ve shown so much grace to him if our roles had been reversed. I have also had to show my son a lot of grace. He wants to play in the garden, “help” pick the veggies, and water the thing morning, noon, and night. 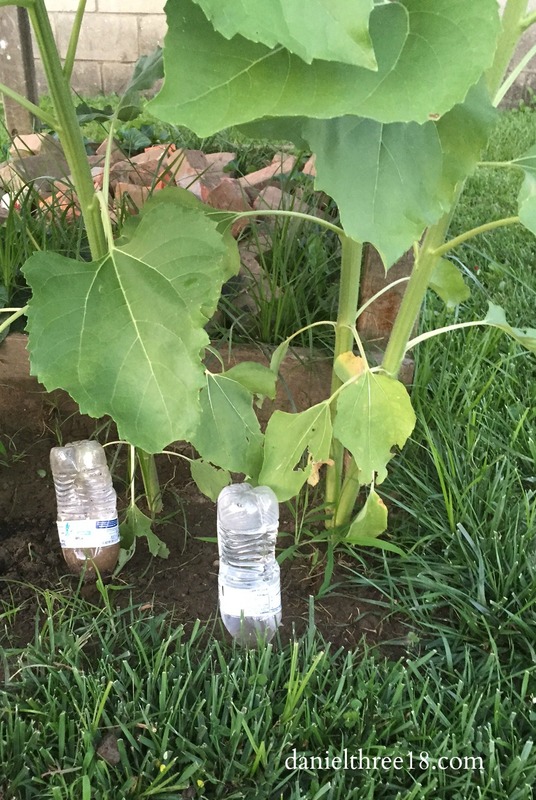 He planted sunflower seeds next to his playhouse, and one day I discovered he had opened a package of water bottles to water his sunflowers. I simply had to laugh, because he was imitating his beloved Grammy, who waters her giant indoor plants this way. I’ve had to show myself some grace, which is difficult. Last week, for example, I was gone for three days. When I got back to the garden Friday, it was a mess. I tend to want to beat myself up, but I had been away from the garden for three days – what could I have done? Sometimes I have to show myself a little grace. 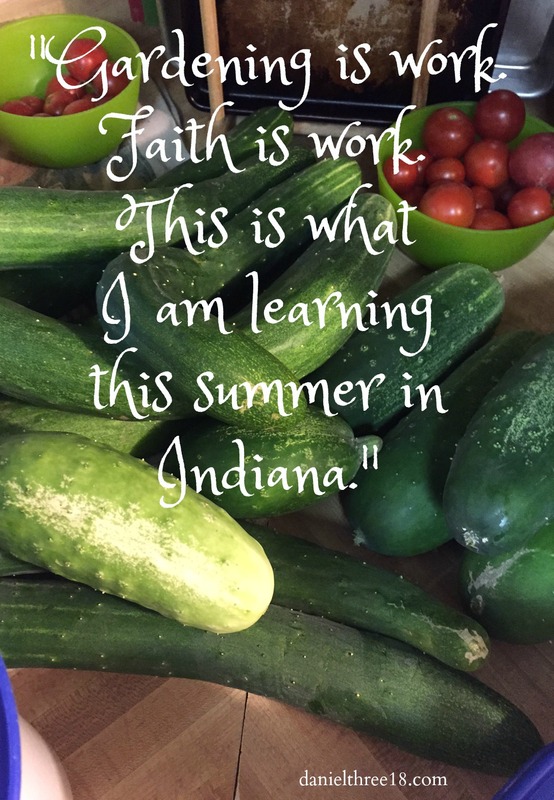 Oh, how gardening has taught me about sin – especially mine. I am impatient (I want the veggies to grow right now!). I am prone to anger (why are the weeds here again?). I am lazy (I don’t want to pull weeds. again. And I don’t want to make another 3 dozen zucchini muffins to freeze, or can another two dozen jars of pickles). I am self-centered (why do I have to do all the work around here?). Sin runs deep, too, just like weeds. Yes, there have been some weeds that I can just pull once and they’re gone for good. That works for some sins in my life, too. I do something I shouldn’t, I realize it, ask for forgiveness, and I don’t ever do it again. But then there are thistles. Thistles require work gloves (or an old towel if you can’t find work gloves), a trowel, and lots of muscle. You have to dig deep, work hard, pull and strain and work at getting to the root of it to remove it. There are sins in my life like that, unfortunately. Sins that I have to work at getting rid of, sins that I think I have eradicated, but then if I don’t tend to my soul well, they pop back up with their thorns and itchy leaves, reminding me I have to be ever-watchful of some things that will tempt me. I Have to Work. Hard. Mostly, I have learned that like gardening, faith takes work. We are reaping a bountiful harvest: tomatoes are finally turning red, I’ve canned dozens of jars of pickles and shared dozens of cucumbers, there are 7 dozen chocolate chip zucchini muffins in the freezer to enjoy during the coldest part of the winter, we have eaten fresh squash, fresh green beans, corn we have grown ourselves, and my son finally decided snap peas warmed in the sun and eaten right off the vine are best when he thinks I don’t know he’s eating them! But those muffins and jars of pickles required hours spent in a hot kitchen during 90-degree weather in a house without central air. Those fresh veggies represent countless hours pulling weeds, snipping dead parts off of plants, de-bugging, and watering twice a day when it quit raining for days and days and days in a row. And it is all worth it – just like the work it takes to maintain my faith is worth it. Hours spent in prayer, sometimes just saying, “Please, God,” on behalf of a friend or loved one – it’s hard work, but worth it. Reading the same passage over and over and over, because the hope that God’s Word brings is the only lifeline to which I can cling during a crisis – important work. Pleading with God to soften a loved one’s heart to accept Him, to accept His salvation, and weeping at the lost-ness of the majority of our family – some of the hardest work my faith experiences is in this area. Disciplining and discipling our son when it would be so much easier to let him do what all the other kids are doing, and explaining to him what the Bible says instead of just saying, “Because I said so,” is hard work, but it stretches me and my faith in good ways. Gardening is work. Faith is work. This is what I am learning this summer in Indiana. Thanks for sharing the very important lessons you are learning, Rachel! 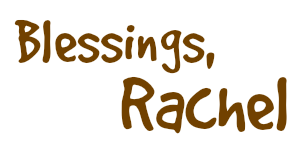 They are a true blessing!